I've been diabetic for almost two decades. It's tiring, let me tell you. Here's a video of my routine when I change my insulin pump and continuous meter. I'm not looking for pity, sadness or suggestions for herbs and spices that might help me out. I'd just like a day off. Just a single day out of the last 7000 or the next, I'd like to have a single piece of pie and not chase my blood sugar for hours. Every time I visit the doctor (I do every 3 months) and every time I talk to someone in industry (I do a few times a year) I'm told that there will be a breakthrough "in the next 5 years." I've been hearing that line - "it's coming soon" - for twenty. I used to wait a minute for a finger stick test result. Now I wait 5 seconds but we still have blood sugar strips with +-20% accuracy. That means I can check my sugar via finger stick twice and get a number I'd take action on along with one I wouldn't. Blood sugar strip accuracy is appalling and a dirty little secret in the diabetes community. I started with insulin that would reach its peak strength after about 4 hours. Today it takes about an hour. Awesome, but that's not fast enough when a meal can take me to the stratosphere in minutes. We are hurting here and we can't all wait another five years. Diabetes is the leading cause of blindness, leading cause of kidney failure and leading cause of amputation. I wrote the first Glucose Management system for the PalmPilot in 1998 called GlucoPilot and provided on the go in-depth analysis for the first time. The first thing that struck me was that the PalmPilot and the Blood Sugar Meter were the same size. Why did I need two devices with batteries, screens, buttons and a CPU? Why so many devices? With Bluetooth coming, why couldn't my [PalmPilot] monitor my newly implanted smart-pump? GlucoPilot could generate charts and graphics from information transmitted wirelessly from the pump. For that matter, the pump, implanted in my abdomen, could constantly transmit information to Bluetooth-enabled devices that surround me. The pump might use my cell phone to call in its data into a central server when I'm not using the phone. If I wander near my home computer, the pump or Visor might take the opportunity to upload its data. During a visit to the doctor, Bluetooth's 30-meter range could provide the doctor with my minute-by-minute medical history as I sat in the waiting room. Back in 1998 when I was writing and marketing GlucoPilot I was using a custom cable that connected directly from my PalmPilot to the glucose meter and downloaded my historical glucose data. Fast forward to 2012 and what new technologicals innovation do we have? Yes, that's a custom cable to plug-in to my PDA. Yes, I'm a frustrated diabetic. This a 15 year old solution with no backing standards, no standard interchange format, no central cloud to store the data in. It's vendor lock-in on both sides. Kudos to the Glooko guys for fighting the good fight and shame on the blood sugar meter manufacturers for making their job hard. Fifteen years ago we talked about data standards and interoperability. I was even on a standards board for a while to try and pressure the industry to standardize on data interchange formats. I have personally written multiple blood sugar meter data importers from the very simple (CSV) to the very complex (binary packed and purposely obscured to prevent 3rd party data dumps) and I can tell you that the blood sugar meter manufacturers are not interested in making it easy to move our data around. This is a billion dollar industry. I'm one of the designers of the iBGStar and we considered Bluetooth. We actually have another FDA cleared product that uses Bluetooth, but cost, battery life, and a bunch of technical issues led us to favor the 30 pin. This is hugely disappointing especially since Bluetooth 4.0 is said to offer battery life as long as 10 years on some products. Given all the new iPhones have Bluetooth 4.0 just waiting for devices to connect to, you'd think this is a perfect opportunity for a Bluetooth 4.0 glucose meter. I appreciate the attempts and the word that is being done in the space, I truly do, but as an end user when I see products like this that are trying to push the envelope but fail with fundamental usability issues, I'm saddened. Most diabetics check their blood sugar 10 times a day or more. I can't keep this glucose meter attached to my phone. It'll fall off, get bent, mess up the 30 pin connector. It's simply not reasonable for a day to day use coming in and out of pockets. A more reasonable mode of usage would mirror the FitBit. It's tiny, clips to my belt and automatically notices when I pass by my computer then uploads its data wirelessly. That's how wireless is supposed to work. And the battery lasts at least a week. Twenty years and no significant moves. We are still wiring our devices together, translating from one format to another, all the while being hamstrung by the FDA and their processes. When we do start to get something working well, it's attacked and we're told that our insulin pumps can be hacked from a mile away and we can be killed in our sleep. This will no doubt slow progress and make the FDA even more paranoid when approving new technology. I've just this week switched from a Medtronic Continuous Glucose Meter to a DexCom, which is another company. This new CGM gives me more accurate data with less lag time. However, I still have the same insulin pump. This means my meter and pump aren't integrated so I carry another device on my person. This is because while the Animas Vibe, a pump that integrates both the DexCom meter and an insulin pump as well as other features like being waterproof, is available EVERYWHERE but the US. It's in the FDA process. Maybe ready in 6 months? 18? Who knows. When it shows up, the technology will be years old while the iPhone is on generation 6. We've got 3D TVs to watch crappy movies on by my insulin pump's firmware hasn't changed in nearly a decade. The article about the iBGStar is poorly researched and galling. I appreciate what Hacker News commenter lloyd said with emphasis mine, calling out this inane line from the article. "Could this be the beginning of mobile diabetes monitoring?" As so many people above have stated, no, you moron. We've been monitoring blood sugar on the go for the past 30 years. I've got Type 1 diabetes...and my current meter is smaller than the one shown here. I can plug it into my Mac via USB to download and visualize the data (& can control my insulin pump via bluetooth using the meter). Unfortunately, this product reminds me of 5 years ago, when someone would announce a new toaster, and the tech crowd wouldn't be impressed...unless it was a Bluetooth toaster. We're so focused on it being the hot new thing (it's compatible with iOS! Oooh!!) that we ignore the fact that there's nothing revolutionary being presented here. The way I see it, this doesn't really change anything in terms of treatment. If it's a more accurate meter, great - sell based on that. Not on the bogus "we're taking blood glucose monitoring mobile" claims. You may feel like technology is amazing and it's moving so very fast and it surely is. But as a diabetic who relies on technology to stay alive as along as I possibly can, it feels like nothing has changed in 20 years. Maybe something will happen in just 5 more. Sponsor: I want to thank the folks at DevExpress for sponsoring this week's feed. Check out their DXperience tools, they are amazing. You can create web-based iPad apps with ASP.NET and Web Forms. I was personally genuinely impressed. Introducing DXperience 12.1 by DevExpress - The technology landscape is changing and new platforms are emerging. New tools by DevExpress deliver next-generation user experiences on the desktop, on the Web or across a broad array of Touch-enabled mobile devices. Very well written. For all of your reading this: this is a niche market that is still opened to innovation. And Mr. Hanselman is giving us the recipe to do it right. As a student of both CS and Biology, your article has made me very motivated to be a part of fixing this problem. Is there a Kickstarter project in this? I so wish someone would sort this out. But the hardware is only half the problem. I change my meters every couple of years and find that the software is gradually getting worse and worse. I went from a nice PC application a decade ago that just worked to what I have now which is some generic tool written in Java so they'll work everywhere. Problem is, they write for the lowest common denomunator so the UI is unusable and the stats are bland and boring. I can't even access my own data to post-process it. I thought I was sorted out when one company produced a USB stick. I could do my tests on the fly, the data was on the sick and uploaded whenever I plugged it in for recharging. Great, but then they made the stick unusable. If I do a test (and while my finger is still dripping blood) I have to press a bunch of buttons to select categories and times. Sorry, I just want it to display my number and remember it. I'll categorise it later if I can be bothered. I've largely given up on the supplied software. Sadly, I write my numbers down and put them in to a spreadsheet. As a diabetic of almost 20 years as well as a developer, this same issue has been bothering me for quite some time. Its not that I need something fancy, I just want to get at my data without connecting cables, downloading, etc, etc. How hard is it to produce a wireless / Bluetooth meter that doesn't involve vendor lock-in? I too was told back in 1993 that there would be a cure in 5 years, and I am still writing readings down in a diary and transferring to spreadsheets in 2012, and every time I do it a little part of me dies. These companies making these devices are supposed to be making our lives easier. A little innovation would go a long way. Great post. With no cure sight (unless you're a mouse), technology is essential but fails to progress at a significant rate. By now teens have the tools to write apps that could do cool stuff like reminding them to take insulin if they've been sitting in a Chipotle for half an hour without touching their pump. Why can't we use Bluetooth to see glucose values from meter or cgm, or the bolus history from a pump? Scott, how do we help? The technology for transferring data may be slagging but the promise of as close to an artificial pancreas is definitely within sight. Research has reached Clinical Trial Phase Iii levels on some of these devices and, as a Type I Diabetic for 38 years, on pump (Medtronic Minimed) for 14 of them, THIS work in progress is FAR MORE important to me. I've done the manual logging, the Excel spreadsheets, the data transfer, and even tracking on my iPhone, but NONE of that stops me from having to regulate my levels at all times, ONLY an artificial pancreas (or stem cell implant trading insulin in for super toxic anti-rejection drugs) will EVER stop my need to prick my fingers 10 times a day, so THAT is what I wait on. In the meantime - I am GRATEFUL for my pump, for my meter that works with it, and for insulin I can trust starts to work in 10 minutes - because it means RESEARCH AND DEVELOPMENT have prolonged my life AND my life expectancy. So I would suggest one stops moaning and start helping. Raise funds for JDRF or the ADA or some other Diabetes organisation OR offer your programming skills to one of the major pump developers who are trying to find a way to SAVE LIVES and be thankful you are not using visual strips, urine strips, 1 cc glass syringes filled with animal-derived insulin anologs and going blind before doctors could understand retinopathy or losing your kidneys before they could understand insulin and nephron patchy. My brother could not live before both eventually overtook his Diabetes and he died aged only 24. If it takes 10 more years, at least it is VERY HIGHLY LIKELY you will STILL be alive and healthy! As Jim Cooper said this really sounds like a Kickstarter project. I'm really surprised iBGStar couldn't make bluetooth work, im sure it is do able especially with bluetooth 4.0. I stick to pricking my fingers and using a simple pen as long as there isn't any better device. My solution now uses an Excel spreadshit on Dropbox, which I can easily access on all my devices, including the Windows Phone. As a hint to everybody that could develop something better: I would pay something like a hundred thousand bucks for a simple and integrated device. No joke. Maybe the Glooko guys could make a tiny Bluetooth plug instead that stays on all the time? I agree with everything you've said. While it's nice no longer having to blot my test strip and wait 60 seconds, the advances have seemed very few and slow. Not only is the state of technology for diabetes terrible, but the ridiculous patents are maddening as well. I previously had a Deltec Cozmore pump that had some low BG and disconnect features that I found useful. After Smith's medical closed the pump division and my pump broke, I went looking for a new one. I eventually ended up with a medtronic, but when talking to a rep, I had mentioned some of the features of the cosmo that I liked. He told me the reason they didn't have some of those same features(this was 3 or so years ago at least) was due to patents. He was hopeful that they could possibly acquire some of those patents, but as far as I know they haven't. Calculating a disconnect bolus for how much insulin you'll be missing when you disconnect and administering a partial/percentage of that is protected by patents? Really? I can do it all manually, but why in the world can't any pump, by any manufacturer do that for me already. The whole proprietary bluetooth stuff with the medtronic makes my blood boil as well. I don't care about controlling my pump remotely as it's sitting right on my side. I fail to see why I can't transmit my data to my laptop/pc/tablet without any additional connectors using just a standard protocol. I've had a terrible run lately. BGs above 600 fasting. Doc changed everything out this week. Moved to 75/25 instead of straight homolog. Now suffering from a blockage in my leg. I had my obligatory high-tech heart bypass several years ago. I've been at this over 30 years. I use the Bayer USB meter now. It's great. I print the logs before my MD appointment and it stacks up well against the A1C. I like your ideas. A standard would be great and wireless would be so helpful. I agree, the rate of innovation in diabetes technology is depressing. But should we really be comparing this rate with the rate of innovation we see in consumer electronics industry? For example, if a closed loop system comes out tomorrow, are you ready to trust your life with it? A tangent, how much are you persuing diet? I'm a fan of primal/paleo diets, which helps diabetics A LOT. E.g. Marksdailyapple.com. Thanks for the comments and suggestions, everyone. Yes, there was ranting here and Yes I could work on the solution. I did my work on GlucoPilot for 5 years and then contracted with HealtheTech and SweetSpot as well as a half dozen others. I burned out on writing diabetes management software. Yes, I raise money for the ADA (almost $100k in the last few years, a non-trivial amount) and have been recently talking to the JDRF. You can donate here, it's tax-deductible. 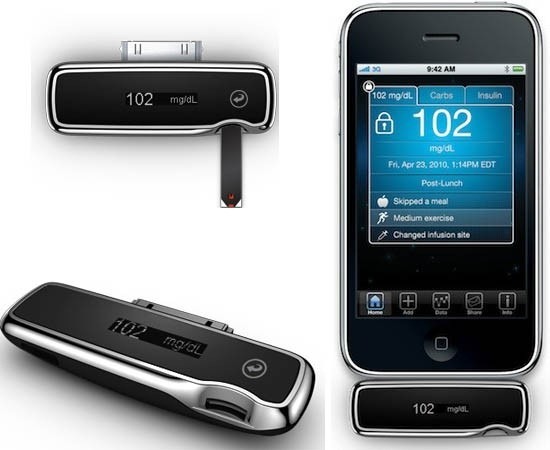 The state of diabetes technology in 2012 is very sad, I agree. What I don't understand is why a diabetic would want to eat pie or any other high carbohydrate food. People who are allergic to peanuts do not keep eating them and then inject epinephrine/adrenalin throughout the day. They try to avoid the peanuts and the epinephrine injector is a backup. Similarly, the body of a diabetic can't stand sugars, so stop eating them. You will feel better and enjoy a much more stable blood sugar level. Sorry if this insults anybody, but this just makes me mad. Andreas - I'm doing Paleo now. I'm reasonably fit and lean. My blood sugars are in normal range 80% of the time and my A1c is excellent. One has to find balance, of course. Robert - Yes, I'd try anything new. Someone had to try the first pacemaker. Seems like Dr. Faustman at Faustmanlab.org should be funded the 10 million more she needs to carry out the phase 2 human trial of her research. All this money being spent on innovation that does not lead to significant gains for the treatment of the individual person with Diabetes is being wasted. If we band together and put pressure on organizations such as JDRF to fund cure oriented research, at least we would not be relying so heavily on the improvement of gadgets that don't seem to be improving at the rate we need them to. Scott - get Microsoft to sponsor you to find a solution. You are so uniquely qualified to get this effort started, that it's a waste for you to be doing .Net demos at this time. What I don't understand is why a diabetic would want to eat pie or any other high carbohydrate food. Your comparison to a peanut allergy is a false parallel. My body can handle sugar just fine, if it has the appropriate amount of insulin. When the new faster insulins coming, it will be even easier for us. The idea that I can "just stop eating carbohydrates" is extremely naïve, and highly nontrivial in practice. I'm NOT a lousy diabetic because I'd like to have the occasional piece of pie. And forget pie, let's just talk about having a simple apple or an orange. Or glass of juice. All these things have an equal amount of sugar as a piece of pie. Should I avoid them now as well? With respect, comments like this are frustrating. Are you diabetic? Try not having pie for twenty years. Twenty Christmases, Twenty Thanksgivings, countless BBQs and family events. You want to eat beef jerky and lettuce, a big salad for every meal for the rest of your life? Stacy, Tammy is right, though. We need to be spending our time on cures and not on gadgets. All the money that goes into the startup of a single failed diabetic gadget company could be helping with a biological cure. My oldest cat was diagnosed with diabetes in the summer of 2009. Cue thousands of dollars and hundreds of hours of research, learning how to take blood tests from home, sitting up long hours watching her whenever her glucose fell, etc. I do not regret a single second or penny and only wish I could have cured her of it from sheer love alone. She was murdered last year by a catsitter who decided that her life had no value since she was a diabetic. The excuses I have heard people give me about anyone requiring two shots a day deserves to die since they're a burden... She was never a burden. So I'm hoping that human diabetics keep pushing for innovations, changes, and perhaps someday we'll have a cure. I just saw that the website is in German, but they're an international team. So maybe ask them if they got an English version for you? Thanks Martin, there's dozens of players now. SweetSpot, SugarStats, and many more. Thanks for the pointer to that one! As sad as this is to say, I can't see there ever being a cure as long as treatment is so profitable. The medical industry needs repeat customers, and curing patients doesn't produce that. With the amount of money that is poured into medical research, it really doesn't seem like there is much coming out of it - and I'm not just talking about diabetes. On data. I think the best thing after getting the data out of the devices is getting to share the data with people with the same condition. Personally is dont get much from looking at the bg's by myself. But i might be inspired by others, hearing that you have 80% of readings within range, im sure i can learn a lot from your data and experience. This has been my pet peeve for the 6 years that my son has had to live with diabetes. Thank you for expressing it so well. Why can I spend $200 to get a device like an ipod which can practically run my house for me and $6000 for a medical device that runs like 70s technology??? Are we, the users of medical devices such a lousy market that nobody wants to invent and innovate like they do with Apple devices? Our younger daughter, 13, has been diagnosed for a bit over two years. As a computer systems person, it was clear right after diagnosis how it would be great if there were a secure open standard for wireless communication between and among a meter, a pump, a Continuous Glucose Monitor, and other devices like an Android phone, an iPhone, a laptop, or other PC. As you pointed out, as it stands now, if you want to switch to a better, easier, more accurate, more convenient meter, it probably doesn't integrate with your pump and / or CGM, so you have to manually transcribe numbers. As you are probably aware, in addition to the devices you mentioned, there is a new (well, maybe two years old or so) CGM sensor available from Medtronic, but not in the US, called the Enlite, which is more accurate, and which is certified (at least in Europe and in Israel) for use for six days, not three. Also, the sensor needle is much smaller. So less pain, less frequent insertions, more accurate. Not available in the US. There is also a new pump from Medtronic, again available in Europe and Israel, not here, which has a low blood glucose suspend feature used in conjunction with CGM. When will this be available in the US? Apparently, no one can tell us. I called Medtronic this week to ask, and they of course said, compliant with FDA regulations, they can't say anything, can't confirm or deny even whether these devices are in the FDA approval process. Medtronic gave me the number for the FDA. After some phone jail, the FDA called me back, much to my surprise. Wrong department. They gave me the number of the right department. That person then said, consistent with regulations, they can't say anything, can't confirm or deny even whether these devices are in the FDA approval process. Really? Here, too, I'd like to see a much more "Open Government" regime. _Some_ FDA databases are open to public search, but apparently not the approval pipeline databases. Economist on Open Source Medical Devices is an interesting article about work towards open-source infusion pumps, etc. Great article! I confess that I've bitched for years that I can't accomplish everything I need to from my smart phone. The technology exists, and the market is huge, but no one is willing to accept the liability and jump through all the hoops required to get FDA approval and insurance coverage. It's absurd! Until then, I have to use an extra bag on my motorcycle to hold my glucose meter, lancet device, yada, yada, yada ... and my cell phone. Enough already! I've been fighting the fight almost 50 years. Technology has come far, but it's frustrating to know the technology exists to create a solution but is not being used. I couldn't agree more. We're working on creating a kind of self contained usb over IP device that will allow arbitrary cell phone connectivity to existing meters. You've sketched out a great mission statement for a startup. My wife has been diagnosed Type 1 for 6 years now. She used a pump for a while, but went back to shots because she felt she had more control that way. I was pretty frustrated by the recent articles about the iBGStar device and the developer's responses. I showed my wife and she wasn't too impressed either, particularly that it was tied to the iPhone and wasn't wireless. Back in 2005 - 2007, I spent a considerable amount of time, money and effort on trying to get a start up funded which was focused on just the use cases you describe around medical monitoring devices, bluetooth and centralized servers with web clients. I live in Cleveland, which is a bit of a medical Mecca, with the Cleveland Clinic, University Hospital among others which are consistently rated very high in the medical industry. I built a working prototype based on a pulse oximeter and a Pocket PC and web services to collect and show the data. It was all working very well and I demonstrated it to many people in the industry and "in the know". They all loved it, but unequivocally, they told me there was no way it would get funded - "the time wasn't right", even though the technology was. It made no sense to me then, and to this day makes no sense to me. The analytics alone that could be performed on the data on the backside is an unprecedented opportunity for business and, more importantly, an opportunity to help thousands of people improve their life. I was befuddled, and, after 2 years of working on it and trying to sell the idea to investors, I was burnt out. I would still, to this day, love to be a part of this type of technology - one that is focused on improving peoples lives and improving outcomes, but in Cleveland, I just haven't been able to crack that nut yet. I hear you loud and clear Scott. I've tried to use the Fax machine analogy whenever I meet with companies that are doing diabetes devices. Initially fax machines only communicated with machines from the same company. Then standards arrived and fax machines sales+usage took off. While diabetes interchange standards might not increase sales, they'd be the basis of a diabetes data platform that would enable independent developers to write smart analysis software to help us understand all this data. I'm presenting at Dexcom next week and will certainly talk about this and other things. At present all we can do is continue to press the companies to develop and adopt standards. 45 years of Type1 for me and bottom line all these devices are just different ways of delivering insulin and to record the outcome, and I am more than tired. Scott, I certainly hear you on lack of agreement on standards for data (which ultimately, belongs to the patients, not the companies who sell diabetes products), and yet I hear all kinds of predictions on how electronic medical records are going to solve our healthcare problems (particularly claims on costs)? Still, the idea of having applications that can read others' data formats is compelling. Now, all we need to do is get the FDA on board, but I suppose we can't rush them. They have finally adopted some things like the iBGStar and Glooko, and those came in spite of serious reservations among the reviewers, so progress is being made. But then again, how many of us were told a cure was about 10 years away? I'm going on 36 years with type 1, so they've missed that goal! This is truly frustrating, to be sure. I am not a diabetic, however I am a developer in the healthcare space. This issue is systemic, and is perpetuated in part by companies profiting off of the knowledge that the system is broken. If it gets fixed, they don't make nearly what they do today. It really is sad that so many companies in the broader field of healthcare choose to put profit in such a place as to eclipse the actual benefit and impact that could be had by doing things the right way. This is such a huge issue which I live every day and have growing passion for working to stem this pathetic trend. This is not a technology problem, rather one of communication, cooperation and lack of true common purpose. However, technology is at the core of the implementation, which means there is opportunity to influence change, however small it may be, where it matters. I think more technologists need to start raising these issues and making more noise, both in the work we do and even more so in other forums where light can be shed on what (at least I see) is the shameless, even negligent state of healthcare today. I am a 27 year old Type I Diabetic who's been Diabetic for 26 years. I use injection pens and check at meals otherwise I just feel it out because, thank God, I am still sensitive to my blood sugar. It's hard to describe what it's like to be a Diabetic and having known nothing else my entire life I can only say there's always something tugging at the back of your mind, your feel your body in different ways, your vision is always an additional check to make sure you're not high or low, the dryness of your mouth is an indicator and then you check as I've done for millions of times at this point. I bleed daily for this disease and it's time to stop. It's time to build the artificial pancreas we all need, accept the liability and ignore the FDA. They can throw me in jail for all I care I'll literally fight them all the way to the Supreme Court if they try and tell me I can't use technology on my own body to effectively "cure" my life dominating condition. If there was ever an industry that needed disruption it is this one. You can't pressure the industry, the economic incentives are too strong, you have to ignore them and build your own system and then build it for millions more of us. It can be a hack, plug an insulin pen into an attached machine that monitors your bg continuously and makes continuos adjustments just like you're body would. There are other ideas out there as well. MIT has glucose powered fuel cells. How much power could a Diabetic generate with the excess glucose in their blood? Enough to power the monitoring system that controls the fuel cell? Let's just do this and ask for forgiveness later. the system kills and destroys much more life than it earns money. diabetics at places like where I live are scared to find out that there is no more medicine for them. not even the one that would reach its peak after 4 hours. being scared every moment of life - this is what i call frustrating. and fear raises the bg. this article is so informative. we are a tech family and we have not come across a glucometer that is able to store the data on the phone.perhaps you can blame it on the area we live... but i did enjoy this insight. The most striking gap that I saw while reading your article was the lack of data standardization. Several other commentators also mentioned this including. KG2V suggested the FDA and Tom talked about the problems of getting an industry standard when the industry was so profit-driven. Is the FDA or the current industry necessary for setting a standard? Is the data being tracked particularly complicated? Can a simple *open* standard be set and adapters made for the current hardware that will translate the company-specific formats into the open standard, than wirelessly transmit that data (with whatever the latest wireless technology is, be it bluetooth, NFC, or whatever)? Meanwhile, build up interest in the open hardware community for more integrated systems. As for the rant, while I don't have experience with diabetes, I suffered a physical injury several years back that has left me in pain every day. Only a few days ago I was telling a friend how much I'd relish having just "a day off from pain". So I definitely empathize with your frustration. And I can't imagine not having pie for 20 years. It's all about the money. Companies such as Medtronic want to lock customers into their product line and their proprietary system is part of the lock. Customer service is their last concern, it's the money that counts. Remove all wheat, barley, oats etc. Get 100% of the limited (i.e. less than 100 grams a day) carbs that you do eat from veggies and the rest of your diet should be protein and fats. I was borderline Type II, changed my diet after a lot of research and voila, after 6 months, my numbers are normal again, I've dropped 20 pounds, my bad cholesterol numbers are down and my good, up. I realize that the food guide says the opposite, and we're trained to eat more carbs not less as diabetics, but guess what? They're wrong and not only are they wrong, they're willfully wrong because the FDA's own data supports the Paleo/Primal diet. You owe it to yourself to do the research, it will change your life. Even those of you that don't have Diabetes, you owe it to yourself to read and learn about the facts of our Western Diet and fix it. I feel like I've gained 10 years of my life back as a result. You say you don't want to hear about "herbs and spices that might help me out." You have been dealing with this for 20 years. You don't have to. Stop listening to doctors. When do they ever cure anything? Read http://www.amazon.com/pH-Miracle-Diabetes-Revolutionary-Diabetics/dp/0446691003/ref=sr_1_1?s=books&ie=UTF8&qid=1340025763&sr=1-1&keywords=ph+miracle+for+diabetes and get rid of your diabetes. Don't make this harder than it needs to be. As a fellow diabetic, I feel parts of your pain. I don't mind the monitoring so much as the difficulty at times with meal control. When I get really frustrated I don't even care, I just eat whatever I want and hope the medication will help me at least a little bit. I like the technology bit, but I'm also thinking some of that would be nice if it could be downloaded when I visit the diabetes clinic so I wouldn't have to often say "sorry but I forgot to bring my monitor"; ugh. I never forget the phone though. The iBGStar gluc is actually pretty nifty. You don't need to have it plugged in to take readings. In fact, you can take readings all day and then sync by plugging it in. The meter will tell you the reading after the test. You don't need the iOS device to get readings. I can see how this might be a pain if you're taking 10 readings a day, but I've never known anyone to take that many readings. Most diabetics that I've known might do 2-5 a day. Paying for that many strips is a bit of a burden really. Ideally, the meter would give that reading to your handset immediately, but I can see why they didn't go that way. There are other meters coming on the market very soon which will be cellular embedded, so your telemetry can go anywhere you want it to instantaneously. In the end, I think there are a variety of use cases and solutions for each. BlueTooth gets you the data off the meter into a device without wires or cables and fairly instantaneously. But BT pairing is a chore. And currently, both Android and iOS require that the app be up and running when telemetry is exchanged with the meter, since it cannot be done in the background in real time. That blows and it's unclear if that will change on the OS side. But the device price points will be cheaper and as you mention, BT 4 helps with battery life. There have been direct connect meters for quite some time. iBGStar is a good one from what I've experienced. There's nothing that says they couldn't go BT or even cellular embedded later. They've done the hard work with making a solid device and getting through FDA. Battery life will always be a concern for any wireless device. I know that you are tired of hearing "it's coming", but I have to tell you that it is. It's taken a 'perfect storm' of the technology getting small enough, powerful enough, battery life and price points to line up, and the macro economic forces of 16% of our GDP going towards health care costs. All of this is pushing the market open and innovators are seizing the opportunity. As a dev, you know that 9 women cannot have a baby in one month. It takes time to bring quality products to market, and one solution will not work for everyone. I would think your perspective would be one of "ABOUT TIME!" rather than "Nope! Still not there!" As the first comment mentions, you should stick your nose in there and make it better! Being a type 1 diabetic for 30 years, and a developer for half of that, I share your frustrations. I don't use a pump but use Novo Nordisk insulin injections and another manufacturer's glucose test machine. I long so much for a wonderful system that automatically transfers all my blood glucose levels and insulin amounts (with times) to an online service (such as SugarStats). With a little development it's possible to process the exports from blood glucose machines, but not for insulin. If an insulin injection could record the amounts injected (with date & time), this would be a revelation: blood glucose levels, insulin amounts in a central database will make tracking and analysis of my control so much easier. It'd all be so easy to do as well. The large corporations simply aren't interested in developing these type of products because Diabetics aren't asking for it. So Scott, is this really a technology problem, or a process problem? Having worked at times for companies that have visibility to the FDA, I know that they are often times an impediment to getting good solutions to people quickly. It sounds like good solutions are possible, but aren't being blocked because of lack of know-how, or even desire, but rather because of how the FDA system works. Especially with drug testing, the FDA seems to be of the attitude that it's reasonable for them to block a new technology or drug because it might kill you... even if blocking that drug or technology might save many more lives than it might cost. They try to remove the decision making ability from the individual consumer, and make that decision for everyone. Perhaps the more important fight here is not around technology, but rather reforming how the FDA works, and fighting that (much larger) battle. It is my belief that the innovation has been there for years, but is not being implemented for the simple fact that the manufacturer's want to keep it all proprietary. Just look at the marketplace for the glucometers; they are basically giving them away, and the software is at or near free as well. But the supplies cost a fortune, and the simple parallel cable to connect the meter to a computer is about $25. As for the strips themselves, I have only been aware of one major breakthrough in the last 20 years; and that is when they went from an optical matching system to the current system. And while the strips today have a higher accuracy, there is no fallback. The old strips could be color-matched against the bottle just like keto-strips. My oldest brother was diagnosticated with diabetes one month ago. He does not have any insurance, but I want to help him. 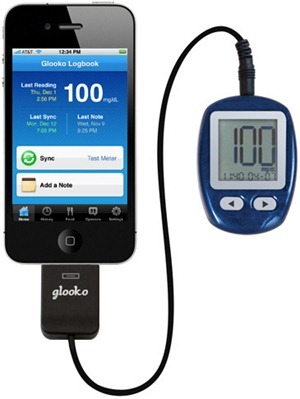 What do you think is the best (or a good one) that he can use to monitor his glucose. I do not have money, but I can give time if you are planning to develop a new application I would be happy to help. In the comment about I meant to say: What device is the best (or a good one) sorry for my English. I've had diabetes for almost 35 years. The first BD Glucosmeter was a god send compared to a urinal and test strips. I use an Omnipod and Dexcom Seven, two distinct devices with different interfaces. My insurance company requires that I give reason and get a special doctors note when I order test strips for the Omnipod system. They would rather I carried a third device, because it would be cheaper for them to supply a different strip. 100% vendor lock in. I'd like a fully integrated system that worked. All the better if it could work with any smart phone. Minimize the number of devices I carry and increase my control. See QuantumCatch.com, one of our products is a non-invasive glucose monitor. We could certainly use someone of your experience to help us sort out the user software side of things. This device is in early stage, might you be interested in collaberating ? Where are you located ? How about a potential cure for Type I diabetes? "Researchers at St. Michael’s have reversed Type 1 diabetes in mice by injecting them with GABA (gamma-aminobutyric acid); not a small thing. Now a mouse is not a man, but this looks really promising." GABA tells the pancreas to make more insulin and to grow more islets of Langerhan (spelling?). I have been diagnosed last year and was told that a cure will be discovered in ~ 5 years. Scott, love your stuff, following it for a long time. The sad truth is that there's an industry built on top of this disorder that generates tens of billions of dollars in revenue and with that being the case - these "breakthroughs" aren't going to come as long as treatment is considered effective. You don't have to wait 5 years for a diabetes cure, there is already one. View the film "Simply Raw" (http://www.rawfor30days.com/themovie.html). People there cured their diabetes for a raw food diet. Hey Scott, I don't really want to sound like I understand your situation because I don't have diabetes myself, but - have you ever considered trying a vegan diet? Of all of the current diet solutions, the vegan diet and lifestyle has been around for half a century and is not considered a fad or the "next new thing". Check out the documentaries "Forks Over Knives" and the "Engine 2 Diet", which both stream on Netflix. At the very least, the vegan diet is super healthy and you really can't lose by trying it. There are countless cases of people curing diabetes and other major diseases and ailments. Thanks for the info on Glooko - looks interesting. I've started a new company called ManageBGL.com - our idea is to predict BGLs, share data via the cloud (especially for kids at school), and provide bolus calculators and correction wizards in the same way as a pump, for people not on a pump. So far it has been very successful in predicting hypos in advance for myself (39 years old, Type 1 diabetic since 16), and my 7 y.o. daughter (Type 1 since 2). Her school and nurses have tested it successfully too. It runs very nicely in the browser on iphone/ipad/smartphone etc, or PC. Its early days yet, but given the pathetic state of software for blood glucose meters and pumps, we are already exceeding our initial goals. Thanks for the "cure" thoughts, ideas and diets, friends, but those work with Type 2 diabetes. They help Type 1, but they do NOT, and physically CANNOT "cure" Type 1. You are too nice with your "cure" response. a spoon after each meal. Scott...coming from the medical devices ( IVD, which is has more rigorous standards of scrutiny )...well, let's just say....we should talk. Let's leave it that, it'll be eye-opening. I'll disclaim the following by saying that I don't understand much about diabetes, but according to the following article I just read, it seems that the future is actually right around the corner. This comment takes all the strength I can muster just to say there is a very large book to be written on the 'Dirty Little Secrets of the Diabetes Industry'. Every time I start to write the next page I get too depressed to continue. This is a multi-billion dollar industry that depends on the status quo. Hollywood could easily produce a conspiracy theory movie to expose the underlying reasons why we're stuck without real progress. Sadly, my decade of hardware and cloud based platform development including highly effective predictive algorithms culminated in physicians refusing to recognize these new methods (see March 2012 Diabetes Care - Integrating an Automated Diabetes Management System into the Family Management of Type 1 Diabetes) while discouraging their patients from adopting them (multiple trials) along with the simple tech tools that make the patient's life easier. We have much of the technology already not just from my team but from many small enthusiastic innovators. Insurance companies like BCBSTX are already willing to reimburse but only if you can show them the evidence-based trial data (fair enough). In the mean time, I've turned my focus toward simplifying that which is already here and perform frequent pattern management (at least once a week review for blood sugar patterns) with my 13 yr old daughter (inspiration behind GlucoMON-ADMS). FPM is free, easy to do and highly effective. And like Glenda the Good Witch of the North said to Dorothy, "You've always had the power'. I just wrote a on Frequent Pattern Management (FPM) to help move blood sugar meter companies along. Maybe these concepts will be useful to others also tired of managing type 1 under the thumb of Status Quo. This was a great and sad article. We found out that my 8 year old has Type I 10 weeks ago. I looked for good software to use for with him. I realize that it is no substitute for a cure, but I also believe that the more data points we can collect the better it is for researchers. I have been developing a set of mobile apps and web site for tracking events in his day and to assist with calculations and communications. I can't go too far quite yet, but I can tell you that it tracks blood sugar levels and injections and is highly configurable for his specific treatment regimen. Currently, he is using the app and servers to track his numbers and we are working with a local chain of hospitals to validate the tool and add additional features. Over the coming days, I plan on adding multiple patient support to the tool and then I will begin soliciting some testing. The end goal is to partner with hardware vendors (meters) so that this app and tracking system will use a wireless technology but for now it is manual entry. Right now, this is a nights a weekends project for me, but I used to work for a major mobile app studio and I am meeting with some other health related app companies this week to see how I might be able to leverage their skills and resources going forward. For now please follow @glucoselogs on twitter, or email me and I will contact you as things go forward. Great article, Scott. You've accurately captured the frustration I've felt since my 12 year old daughter was diagnosed with T1D nine months ago. She also wears a pump and CGM and bravely performs the ritual you demonstrate in your video every three days. The technology is so retro it's embarrassing. Has anyone tried this? I lead software teams and build consumer electronics for a living. I'd love to get connected to other folks who are thinking similarly about this space. I am one of the regular reader. I wanted to highlight something. You talked about bluetooth4.0 based glucometer. Many companies do not look at the usability of the device from the customer perspective. For example how the diabetic person will use this device if he has to check 10 times a day. My suggestion is why don't you invest some time develop this product (bluetooth4.0 glucometer). You are one of the tech savvy people I know and I know you have good connection with the tech community. It will be your gift to all diabetic patients. I've been a tech guy for more than two decades and I have been very excited about the internet and all the technology that has come out across the years. But I feel and I think Scott hits the point that the more we advance our technology the more useless is becoming to us. The value proposition of new technology is very small or none. The entrepreneurs and visionaries begin with great altruism but end up building useless application and devices. I feel the great discovery that banking and financial institutions have been playing and enriching themselves with all their exotic financial schemes is the same thing Silicon Valley does with their useless devices and applications, no value. Even non-profits are going in this direction. Finally the only hope for value in the tech industry is open-source. + From 2015 Medicare payments will only be allowed for medical devices whose manufacturers have published their communication protocols. + From 2020 Medicare payments will only be allowed for medical devices which use standardized protocols agreed on by the industry association. + All medical devices should clearly mark on their packaging which protocols they support. Devices that don't support any standard protocols should call that out on their packaging. I'm fine with manufacturers selling crippled devices to people they can convince it's a good deal. But I'll be damned if I let my tax dollars go to those companies. You have a free web edition to manage your diabetes from every where from pc/mac/linux from major web sites and also a mobile edition for both iPhone/iPod/iPad/Android/PlayBook/KindleFire and sync with the web edition. About integration with glucose meter, there is for now with the Bayer USB meter so you can import from time to time all your data from the usb meter to the GliControl Mobile and sync all your mobile devices and web edition. I am not diabetic. People need to read this. People need to know what diabetics go through. I can spend 10 minutes of my life watching your video, or I can continue going on about my life thinking, "That will never happen to me." We're just one test away from "Why is this happening to me?" Thank you for sharing, Scott. I will be working ADA into our giving. Your video and this post made me uncomfortable, it made me cringe, it made me want to make a difference in something that doesn't personally affect me... yet. Juice is basically just concentrated sugar water when you get it from a store. If you make it yourself it's not quite as bad, but in general I wouldn't even recommend that healthy people drink juice. You might as well drink soda. Eating a whole fruit isn't the same in terms of sugar absorption as eating a piece of pie or drinking juice. I get that eating is a pleasurable activity and having to avoid certain foods is difficult, but at the same time, what's the choice here for you and other diabetics? If the choice is between not eating pie and a diabetic coma I'd avoid the pie. The problem is access to epistemic certainty that our therapy is safe. The FDA recently acknowledged the safety problems involved in pump therapy: http://www.fda.gov/ForHealthProfessionals/ArticlesofInterest/ucm295562.htm Many patients are actively harmed by lack of access to epistemic certainty of what to expect from their therapy. Eg, the fidelity of their care is poor because they are prevented from empirically understanding their own therapy or ensuring its safety. This lack of access provides the largest vendors with a market absent of competitors, ensuring they can always sell new pumps and other products in ways they can control. The priorities giving them this position in the market also create dangerous and unethical scenarios that I and other patients could fix or work around if only we had access to the right information. I've called Medtronic and repeatedly asked for access to documentation of the remote diagnostic protocol, and for access to the firmware so that I can analyze it for safety and provide tools to verify expected therapy outcomes. They have denied my request every time without arguing the merits of my request, simply admitting that it's proprietary. I want to make clear I am not talking about servicing or modifying my insulin pump. I am talking about the ability to correctly calibrate and fill my syringe, something Medtronic has expressly prevented me from doing. The vendor is preventing access to information necessary for safe therapy, and has employed software bundling and promotion of misinformation regarding the pump's technical capabilities in order to shape the market place in their favor at the cost of safety. Here's another iPhone app to add to the list. Glucose Buddy. Its not automatic but does allow you to track a lot of stats like meds, foods and weight. It also has a sister app Fitness Buddy to track exercise. CDRH and AACE's assessments indicate patient errors in the use of insulin pumps appear to be the cause of the adverse events associated with these devices. Thoughtful post... I use hello health emr as a physician, they are going live with qualcomm's 2net interface q4... The door is wide open for interfacing with 2net on the device side, I'm happy to monitor my t1 diabetes patients blood sugars directly from my emr... The industry needs to be disrupted and it will be... I'd like to interview you for my blog sometime. Recently a new Insulin Pump company (Tandem's T:Slim) has decided that we (Type I's) need a pump that looks like an iPhone - while I appreciate the half-hearted attempt at UI improvements - they don't get it. I'm fine with a single color screen if you give me real technology improvements like Scott mentioned above. I too use a Medtronic Insulin Pump with CGM - every time I need to change my CGM (manufacturer says every 3 days though the battery is good for 5 - mo' money, mo' money) I have to wait 2 to 3 hours for it to "warm up" and then another 1/2 hour to determine if I got a "good site" with somewhat accurate readings - otherwise I start again and throw away the $75 insertion set, but it's not my money - my insurance company pays - wait - let's not start the true cost of health care discussion. Someone mentioned Dr Faustman's research, I contribute to her research - but the sad fact is she has a great shot of finding a cure, but struggles with funding because there is no real way to make a killing off of her cure. It's not in the diabetes equipment manufacturers or big pharma's best interest to cure this disease since it is literally a cash cow to the tune of multi-billions per year. The company I work for takes advertising dollars from Pharma - in 2010 we ran an unsuccessful campaign with Eli Lilly, mid seven figures, they didn't even blink. That kind of money would fully fund Dr. Faustman's research. I've just discovered that I'm a Type 2 diabetic, I'm trying to manage with diet alone, not easy. One of the first things I did was look for an insulin tester that was reasonably accurate and would interface with my PC or Android. Found one, but it requires USB and the software is pretty lousy. Would love to have something using BT and CSV, that's all I need. I can import the data to my own database or spreadsheet and take it from there. Can you write an article on using documentation with Sandcastle and Visual Studio? Hey Scott, I remembered you had this post, you may have already seen this but there is the Samsung S Health app launched with the Galaxy SIII that I have just noticed. It's meant to monitor various things like blood pressure, weight, blood glucose. Unfortunately looks like the blood glucose meter is still USB but there could be some hope there as they have other sensors running over bluetooth. Hopefully a step in the right direction. I just saw an article on news.com.au that I thought might be of interest to you. Hopefully these sorts of innovations make it easier for people to manage their diabetes. Cure hope is still alive.....http://www.viacyte.com These guys are the real deal and have a very good shot at feasible solution for the entire diabetic community IMO. Great post! However great any measuring device will become it will only be just another way of dealing with diabetes type 1. I strongly feel research money should be put into finding a cure. Recent research shows that we keep getting closer and I think my 9 year old son will be cured of his diabetes within the next 10 years or so. Have you found a software solution which can integrate the Dexcom BG and event data with Medtronic insulin/BG/carb values from the Bolus Wizard? I just got a Dexcom last week and so far I haven't found anything... I'm thinking about exporting both to CSV and merging into a separate database. I've found the hardest part of being a diabetic is that normals just don't and cant understand the frustration. I'm a late on set type 1, I've had this 5 years and it does make you a little harder and sadder every day. Changing your whole life because a part of you broke is incredibly hard. I was thinking about a continuous monitor and an insulin pump. The technology is out there we just need someone to put it together in a useable way, preferably a diabetic who understands. Why with our computers that can order groceries for us cant we find a way to only have one device that manages itself. A pump with a glucose monitor imbedded. A small cellphone sized device that could monitor and pump accordingly with minimal interaction? if we create a phone that is a computer, why cant we make a computer a pancreas. I love this article. It was stating exactly how I feel about the state of technology in diabetes. I've had type 1 for over 18 years and have seen many cool technologies hit the media hard, then vanish - what seems like overnight. It's just heartbreaking that the process is cumbersome and nothing gets accomplished. It's seems like its at a snails pace compared to the technology giants such as Apple. I'd like to invite the author of this article and all those would would like to talk about diabetes to join: diabeticpros.com. I'd invite you to make some updates about this subject and keep us posted on diabetes technologies in the future! Thank you. Thanks for the review! It's now 60 years of T1 diabetes for me, and just over a decade of using a computer for recording glucose data. Because of my nursing background [now reired] I stopped using paper for data records as soon as I could!. [we did enough of that at work] But now I decided to look for a more up to date device for BG records - one that can wirelessly transmit the data to wherever - no bluetooth device seems to be available. Hi - the rest of my diatribe - I want a monitoring system similar to the multitasking one I use now - not just a bunch of spreadsheets of time / BG levels - and one therefore that can be adjusted by the user - eg. the flu may have a different effect on BG than a Fractured arm! Or what about adding details to effect of a doctor visit - i.e. upsetting or challenging? again all these things make a picture more clear - and as diabetics age, sometimes it's the details that show something besides the pancreas needs to be considered! I don't think the drug companies want a cure as such. I certainly wouldn't be hoping for one, it's been 30 years since I became diabetic and people tell me daily how they have found or heard of a cure, it actually breaks my heart if I believe them. Better than that we need better management systems, ie a bluetooth blood glucose device that allows you to track your results, so far there is very little. I am type 1 and mine cannot be cured so I need positive steps to make a difference to my life. Great article that by the number of responses shows the need for an improved monitoring system. It's easy I wish I knew some developers t=so that we could build this thing and change type 1 and type 2 control. From my perspective preventing the onset of type 1 (identifying those at risk and effecting successful interventions) should be a high priority. This won't help me personally, but such a program could certainly save a great deal of money and prevent a great deal of human suffering. I've been a type 1 for 57 years. My vision is stable and relatively good. Most everything is still working, though not all that well in some cases. I'm moving to a smart phone to track data and then transfer to a computer-based spreed sheet for reporting and analysis. In my case I need to track sodium and fluid intake, urine output, weight and blood pressure, in addition to the usual diabetic data. Periodically, assorted data is transferred to one specialist or another. Health issues forced my retirement quite some time ago, but I continue to enjoy an active life focused on my family, assorted hobbies and volunteer activities. Over the years I have personally suffered with depression, as is frequently the case for those with a chronic illness. This is also an issue worth addressing by the research community as it directly impacts both quality of life and management of the disease. Unfortunately, the mental health aspects of chronic diseases such as diabetes are often not addressed in discussions of ongoing management of the diseases by patients. Some of the other ways that we can help is to just get the word out. The only reason Dr. Faustman is continually looking for funding is because the bigger pharma companies’ see how this is a game changer for diabetes and have outright denied her any support or funds. Just as some of the others have stated in this forum...this is a billion dollar industry and it would seem that all of these companies are very unlikely to give up these kinds of revenue streams, esp considering that the amount of people with diabetes is continuing to grow. I see the value of technology and how it can applicable in this space...but for those of us that have this disease, I feel that our best way out of this mess is through the existing, low-cost, solution that Dr. Faustman is proposing using BCG (bacillus Calmette-Guerin). For those that don't know what BCG is...it was developed in the 30's to treat tuberculosis and is still used today but the best part about this medication is that it has virtually no side effects….a local rash at best. The problem pharmacy companies have is that since it's an existing and now generic drug there is nothing to patent...hence they are unable to make large sums of money as the sole manufacture of this drug. So as you can see Dr. Faustman is in a no win situation from a funding perspective and has to rely on private or crowdsourcing if she ever plans to bring this to the masses. Great article by the way, it’s apparent that everyone on this thread is passionate about this topic. Good article, I hope they focus on the end user not the millions they make on test strips etc. I had to battle with my GP recently to get more than 50 test strips a week.. I'm not impressed by the poor understanding of type 1 diabetics and the effect of limiting these medications, nor the price! How come I can buy a camera for less then 50 test strips in my super market - somethings not right. I was diagnosed type 1 last year. Please keep this thread alive! It's helpful to so many you don't even know. I agree that MANY of the posters here need to join up and solve the problem vs gripe about it. If we all worked together, nobody could stop us! My background is both financial and systems and I died from Type 1 before I found out I had it...no I am not a ghost. I would help you. Tell me what is needed! Thank you for writing this article Mr. Scott!!! Hello Joni, I would love to pick your brain about what you know in regards to the financial aspect and system aspects of glucose meters. I have type 2 and although it is not as "hard" on my body; neuropathy sure is!! My friend has type 1 and we are pass the "bitching" phase. Now we have our thinking caps on. Perhaps we can exchange some emails and see what goodies the other has lurking inside their heads! For your future, a painless, non-scarring micro-needle, see my appeal to the Crowd for funding: www.medstartr.com and www.advancedbiosensors.com, for more of the story. Can you help spread the word? Truly would appreciate it and will contact you about our future Clinical Study. Being type 1 diabetic for 30 years, I couldn't agree with you more. It seems so simple; An insulin pump, a glucagon pump, a continuous blood glucose monitor, and some relatively simple software to dynamically adjust predictions and give insulin or glucagon when needed. The only thing we're missing is stable liquid glucagon. That's it. That one thing is what stops us type ones from having a fully closed loop, artificial islet cell. I've been waiting 30 years for it -- and I'm sick of waiting. Any chance iBGStar is going to make an Android compatible meter? I am not an iPhone fan and have no intention of buying one just to downsize my meter. Excellent post Scott. As a Type 1 for the past 15 years, having tried the pump, needles, pens, all sorts of glucometers and CGMs (currently using the Dexcom), I share your pain and totally agree there should be (by now) a BT glucometer. The problem I see is there's only 3 Million Type 1 diabetics in the US; hardly a huge market compared to the market size of other major health problems. Diabetes ranks just sixth amongst the top 10 leading cause of death in the US, right below motor vehicle accidents. Yet consider the gun business. The NRA currently represents mearly 5 Million people in the US, and yet they seem to always get what they want despite the overwhelming population of folks against their initiatives. Why? Type 1 diabetics needs powerful quality lobbyists in Congress to drive OUR interests and get some significant money flowing towards curing our disease! Hi, I'm a mom of a 10 yr. old T1D. Have you seen Medtronics MiniMed Revel System? It monitors the Medtronic CMG and is an insulin pump plus for parents it has a remote glucose monitor. My money is on Denise Faustman at Massachusetts General in Boston to find a cure. She has cured T1D in mice. During Phase 1 of the human trials people with T1D for more than 30 years had their pancreas's start to function. -there is a far more complicated answer, but I'll leave it at that and you may read Dr. Faustman's web site. See http://www.faustmanlab.org/. She is also a tax deductible non profit. The problem is she can't get financial backing from organizations in the industry because they stand to loose billions of dollars if Dr. Faustman is successful. So she mostly relies of every day people to donate for the Phase 2 trial. Maryanne - Yes, I used a Revel for 5 years. The CGM is not very good compared to a Dexcom CGM. I'll never go back to a Revel again, they are notoriously inaccurate. Hi Everyone! While doing my due diligence, I came upon this article. I am a nurse and diabetes educator with a background in electronics technology and software. I am in the process of putting a team together to solve these pesky connection and poor software issues, once and for all! We have some great people already and great technology that I think will make this a reality. Please feel free to connect with me via Linkedin (Karen E.) and join my new group: Digital Diabetes. The more input the better.